China stocks remained volatile on Monday, despite a series of dramatic steps by officials over the weekend designed to support markets. 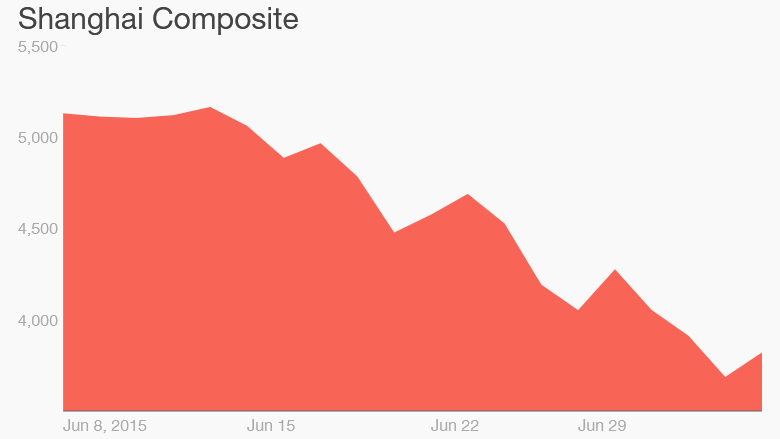 After opening with a gain of roughly 7%, the benchmark Shanghai Composite closed 2.4% higher on Monday. The smaller Shenzhen Composite, which also started the day in positive territory, reversed course and ended 2.7% lower. 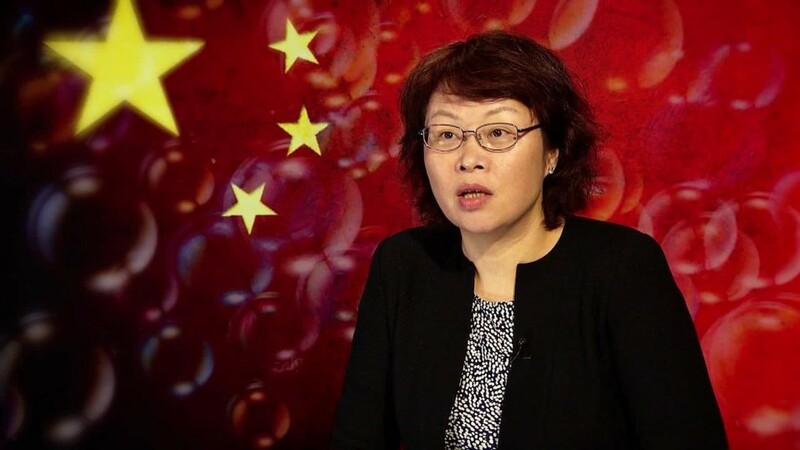 The measures put forward by Beijing in the past few days include a commitment from brokerages to buy billions worth of stocks, and a de-facto suspension of new IPOs. In addition, the central bank has offered a new line of credit to support margin financing, a risky way to invest using borrowed money. The Shanghai Composite -- the world's third largest stock exchange if you add up the value of its companies -- has lost roughly 25% since June 12, putting it officially in bear market territory. The bears are growling even louder on the smaller Shenzhen Composite, down 31% in the same period. The drops are in sharp contrast to massive gains markets made earlier this year. 1) Regulators announced late on Sunday that China's central bank will provide capital to China Securities Finance Corp., which will in turn make additional financing available for margin lending. That's the practice of buying stocks using borrowed funds. When margin bets go sour, investors are forced to quickly pay back huge amounts of cash. 2) China's 21 largest brokerage firms said on Saturday they would spend a whopping 120 billion yuan (about $19.3 billion) to buy stocks in hopes of stabilizing the market. The firms said they will actually purchase stock funds themselves, and keep buying until the Shanghai Composite reaches 4,500, a level the index last saw on June 25. 3) Twenty-eight companies have put their IPOs on hold, which should help boost stocks. In the past, China has suspended IPOs entirely in order to prevent new offerings from drawing away liquidity. Analysts have come up with a bunch of theories to explain why the bubble burst. Here's the most compelling: Share prices got way ahead of economic growth -- now at its weakest since 2009 -- and company profits, which are actually lower than a year ago. Still, there are warning signs that more pain may be coming. According to Oxford Economics, shares may have to fall another 35% or so to bring them into line with long-term averages.